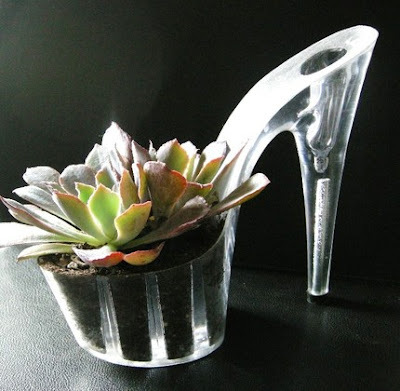 Recycled exotic dancer shoes make fantastic planters. I want one. I think they are GENIUS! 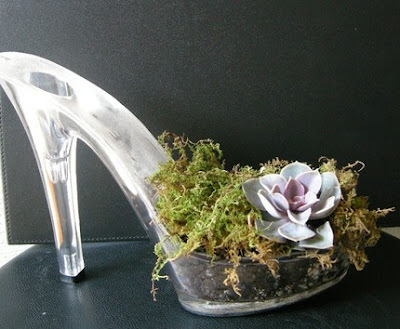 So creative, love this idea. My husband would adore this! He grows succulents. thanks for the gift idea!